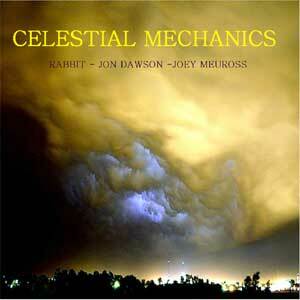 This Rabbit Solo Album isn't just any ordinary new age concept. Included here is a variety of music styles, mostly written by Rab, but also includes compositions with a couple of new friends he's found.. Joey Meuross and Jon Dawson. The 3 of them came up with 4 additional new tracks together on this cd, plus there is some vocal work from the fantastic singer Greg Brown, and a track or 2 with Geoff Whitehorn playing guitar. Even better, a couple of tracks are produced by Juan Van Emmerloot, who produced Rab's 'Welcome to America' album. Juan also plays drums on some tracks,too, so there's plenty for everyone here.